The Halfway House is a warm welcoming, family and dog friendly pub and restaurant set in a lovely building in Rickmansworth. Food is served 7 days a week and they regularly have free live music events such as Jazz Nights and host a quiz night on a Sunday. They are currently offering free hire of their function room. 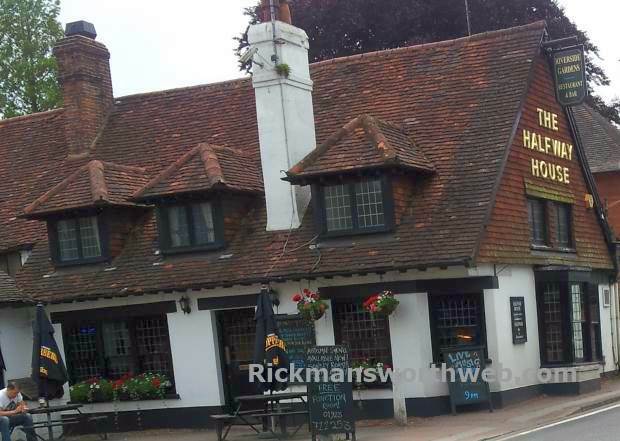 If you fancy a pub crawl or want to try out a different public house, check out our Pubs in Rickmansworth page.